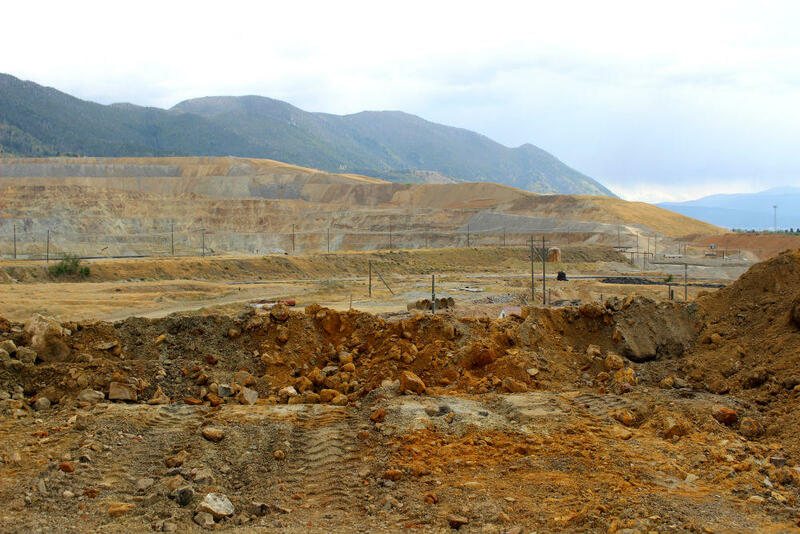 The Parrot Tailings removal project is underway in Butte. September 2018. “It’s up back, up back. A lot of sitting, and waiting to get loaded," said Dan Bailey. He's from Idaho, rides a Harley, and loves his job driving what he calls a life-size Tonka truck for MK Weeden Construction company. “I mean it’s like a kid in a toy box, sand box the whole time. Only we’re driving much bigger equipment now," Bailey said. He travels around to different job sites, and says work here is pretty routine. It’s about moving dirt from one place to the next, the reason why is less important. “I just know there’s some major contamination going on. Other than that, I don’t know much about this place," said Bailey. Those machines are digging out a huge deposit of buried toxic mining and smelting waste called the Parrot Tailings and hauling them away from the Upper Silver Bow Creek corridor. For people in Butte, that’s a victory in one of the most contentious environmental cleanup battles in the Mining City’s recent history. To better understand how the Parrot Tailings got there, and why they’re coming out now, I put on a hard hat and ventured inside the fence. As we pick our way through the metallic rainbow rubble, Pat Cunneen tells me that before there was this huge crater growing in the center of town, there was a dirt baseball field. “When you were playing baseball here, you did not slide. If you couldn’t steal a base standing up, you didn’t do it because it ripped your hide up. I mean the field was built - basically you see right here where the slag pile is? That was the first base line was right there," Cunneen said. Cunneen is an environmental scientist with the state’s Natural Resource Damage program, which is the lead on this project. He’s from Butte and says when he found out all that slag was leftover from an old smelter, he was dumbfounded. The Parrot smelter itself is long gone. But during its twenty year run, in the late 1800s, it ground ore and concentrated metals being mined from Butte’s hill. 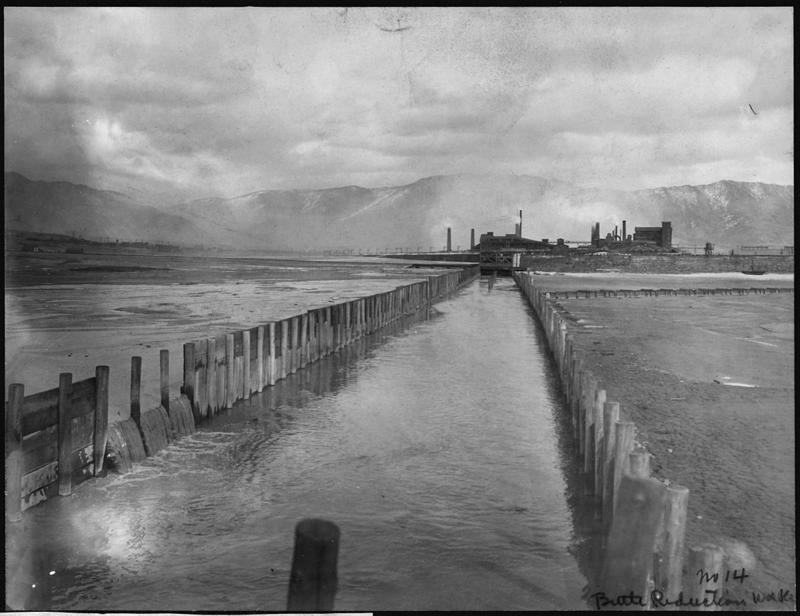 As it sifted out the riches, it left behind two major waste products in the Upper Silver Bow creek corridor. One was slag. Dense, angular black chunks of it are everywhere. In some places underground, it’s 20 feet thick. But hidden below is another, deadlier souvenir from the smelting days - tailings. Jim Ford, NRD’s project manager, picks up a handful of grit next to his boot. But they’re full of lead, arsenic, copper, zinc, and cadmium. In most places, all the waste was stashed under another fifteen feet of rock from a former open pit copper mine nearby. 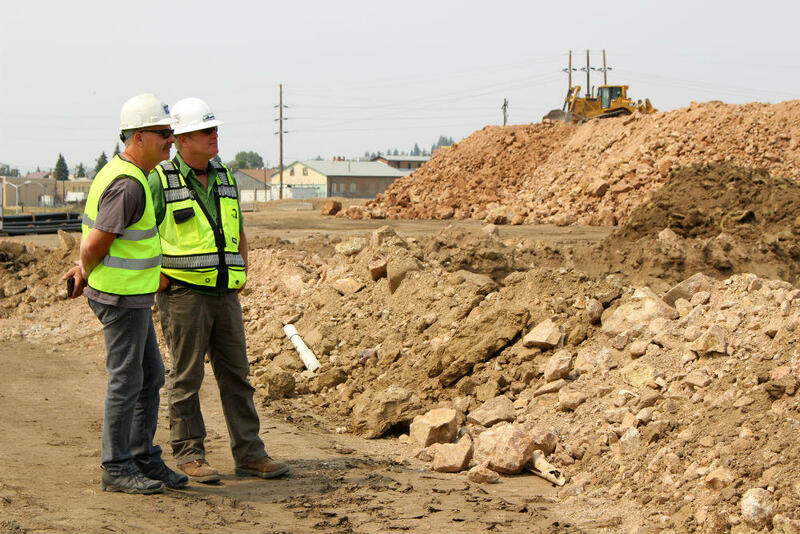 Pat Cunneen and Jim Ford, with Montana's Natural Resource Damage Program, contemplate a pile of clean overburden that originally came from the Berkeley Pit. August 2018. For over a century, this subterranean toxic layer cake of slag and tailings has been leaching heavy metals into the soil below, and contaminating groundwater. Groundwater that’s moving. It eventually reaches Upper Silver Bow and Blacktail Creeks a little downstream, which are the headwaters of the Clark Fork and Columbia Rivers. Inside a work trailer, Ford explains why this cache of mine waste poses a significant threat to the watershed. The state of Montana has always maintained that in order to fully protect the creeks and the aquifer, the Parrot Tailings needed to come out. But the Environmental Protection Agency disagreed. 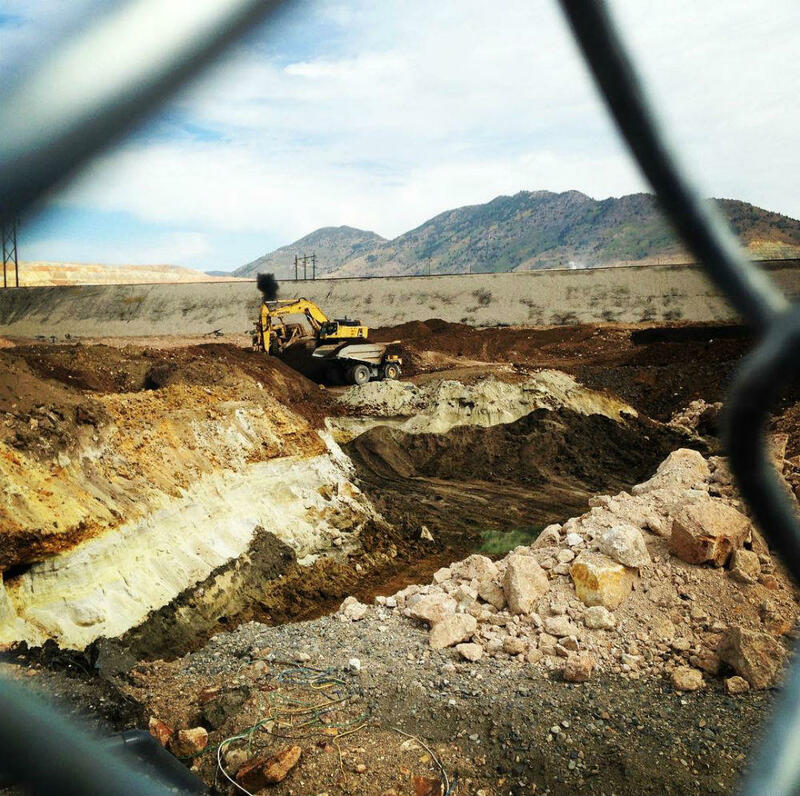 In 2006, they decided that Atlantic Richfield, the company on the hook for Butte’s Superfund cleanup, could treat dirty groundwater but leave the waste in place. To the state and people in Butte, treating the symptom but not the source was unacceptable. A decade long fight over how to get rid of the tailings and who would pay for it ensued. Elizabeth Erickson is a hydrogeologist and the chair of the citizen-led Butte Natural Resource Damage Restoration Council. “If we remove it, we have estimates from 20 years to a thousand years to clean this thing up. But if we don’t remove it, it never cleans up. And we know it’s in our basin. And we know it’s coming out somewhere," said Erickson. The BNRC was formed in 2010 to help the state decide how to spend a chunk of Superfund settlement restoration money. Erickson said for years, the community pressured EPA to change their decision and force ARCO to cleanup the waste near the creeks. And they got nowhere. “You know you can only beat your head on the wall for so long, and then you have to find another solution," said Erickson. 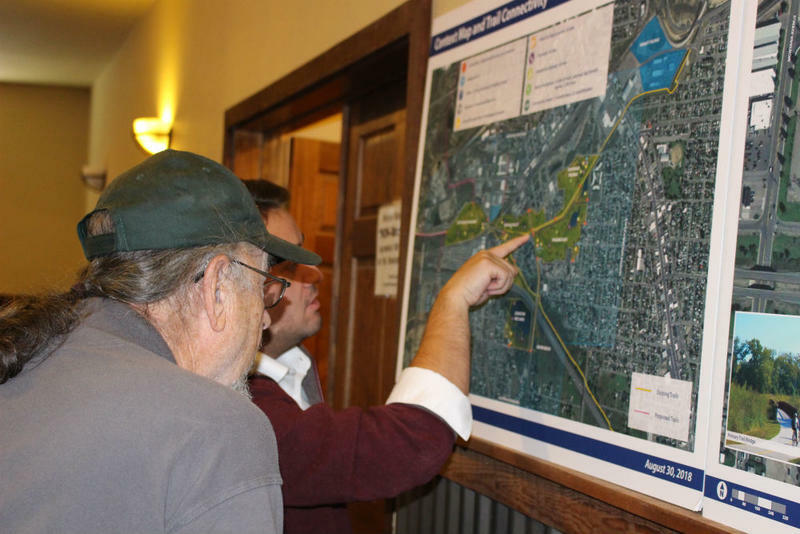 That solution was to use $10 million dollars of Superfund restoration funding they'd been allocated to catalyze the project, which has a total price tag of around $36 million. 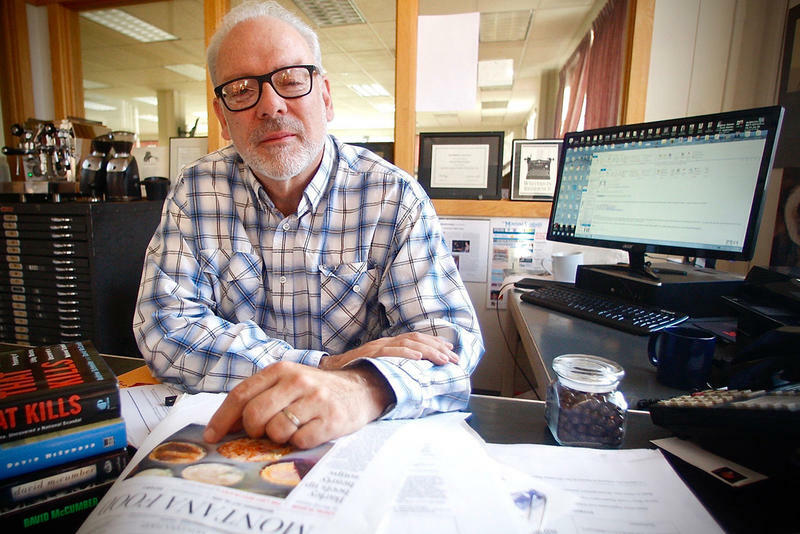 “So we thought if we could maybe break the cost into pieces, with multiple stakeholders, that would help get the process going, and get the project done," Erickson said. She says the turning point was in 2015 when they showed Governor Bullock water that copper contamination had turned the color of blue gatorade being pumped from the Parrot. Bullock announced the state would unilaterally remove the Parrot tailings, and started drawing up plans. Where exactly the remaining $26 million dollars necessary to do that will come from is still a question. Villa says the state has enough savings from past Superfund settlements on the Upper Clark Fork River Basin to cover the project. But under the Superfund cleanup deal currently being ironed out in Butte, there’s the possibility of new money too. “There may be other additional settlements forthcoming with Atlantic Richfield, all of which be paid into the same bucket of money that we just reviewed," said Villa. Since those negotiations are confidential, he wouldn’t say more. For now, lots of people in Butte are thrilled to see giant shovels finally moving dirty dirt out of the creek corridor. 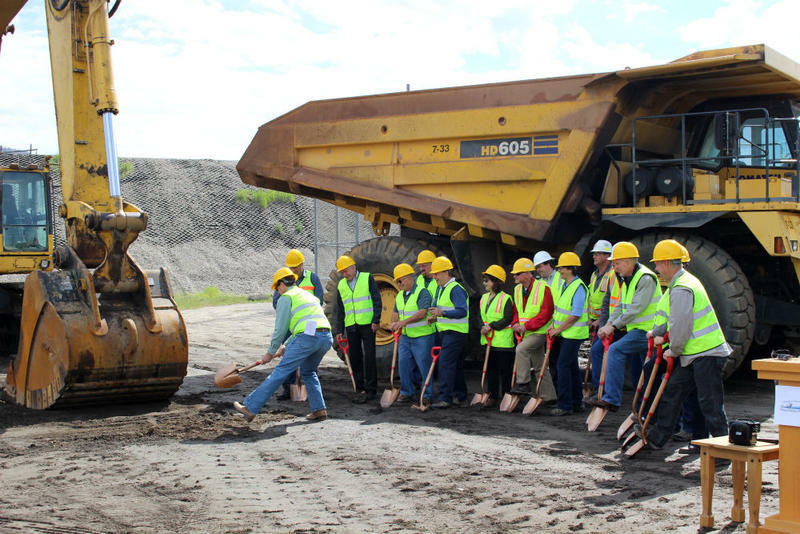 The state broke ground on Phase 1 of the Parrot Tailings waste removal project in July 2018. Phase 2 will be bigger and more complicated, because it involves relocating the county shop complex. In total, about 1 million cubic yards of stuff, above and below groundwater, will have to be excavated and carefully classified. With some of the material, it’s obvious if it’s hot [contaminated] or not. But for the rest, you need the X-Ray fluorescence gun. Marcus Holland, an engineer with Water and Environmental Technologies, is pointing one at a baggie of soil. “This XRF gun is really where science kind of meets up with witchcraft," said Holland. 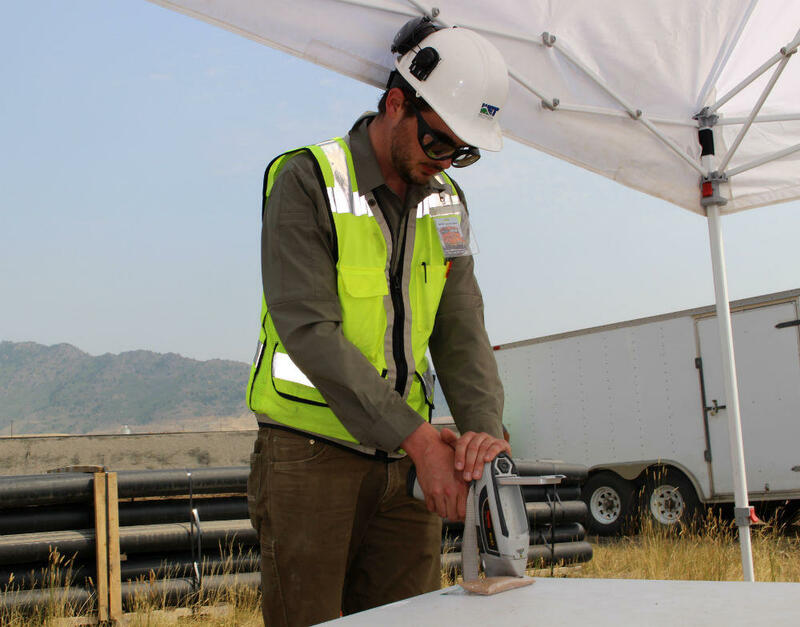 Marcus Holland, an engineer with Water and Environmental Technologies in Butte, uses the x-ray fluorescence gun to asssess contaminants in soil at the Parrot Tailings work site. August 2018. To him, the way the little machine works is rather magical. It shoots x-rays into the sample, and the different contaminants release electrons, revealing their identity and their toxicity. “The gun is nicely asking what’s in the soil and the soil is replying and telling it ‘here’s what’s in here’," Holland said. The XRF technology is essential on a job like this, where large volumes of dirt are moving constantly. “We can have those results while we’re looking at that soil in under a minute. This allows us to know right away what’s clean and what’s not," said Holland. Then the sorting continues apace. Clean fill goes into one heap to be reused. Slag is moved to another pile. It will eventually get capped so water can't infiltrate and leach more metals. But tailings and the old dirty soil underneath go on a one way field trip a mile up the road to the working copper mine. “This gate is essentially where they come onto our property, right here," said Mark Thompson. I’m riding around with Thompson, the VP of environmental affairs for Montana Resources, the company that owns the mine. They agreed to take all of the contaminated waste from the Parrot and put it in a permanent storage facility, what he calls its “final resting place”. “Alright so the material will be hauled down this road," Thompson said. Back in his office, Thompson says while the state considers this to be a huge project, it's all a matter of perspective. “On a good day here at the mine, we’ll move 100,000 tons. So that’s roughly 75,000 yards, give or take. So everything Weeden is going to bring us in Phase 1, we move in a day," said Thompson. Since any copper left in the tailings is too tightly bound in clay to recover, Thompson says the mining company won’t make a profit. They’re actually paying to transport them on site. “Yeah, it’s gonna cost us quite a bit of money, but at the end of the day, it was the right thing to do," Thompson said. Otherwise, the waste would have to be hauled much further away, with smaller equipment, on public roads. That would have been not only more expensive, but a public safety issue. So Montana Resources stepped in to be good neighbors. “If it was gonna go, it had to come here. I mean that was as simple as that," said Thompson. This first phase of the Parrot Tailings removal project will cost around $3 million dollars, and is slated to be complete in early 2019. The Pittsmont Dump at Montana Resources' mine in Butte is the "final resting place" for the Parrot Tailings. September 2018. On Thursday morning, close to a hundred people gathered at an old ball field across from Butte’s Civic Center and circled around haul trucks and excavators fit for Paul Bunyan, if he was a miner, and not a lumberjack. Both the crowd and the heavy machinery were there for the groundbreaking ceremony on the Parrot tailings removal project.